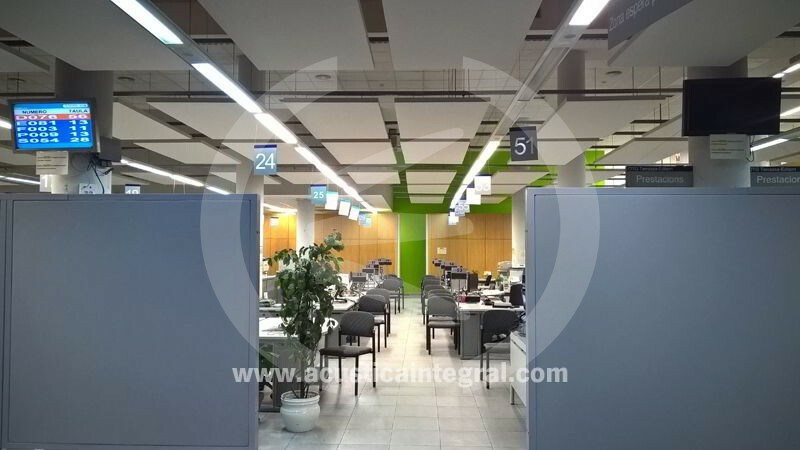 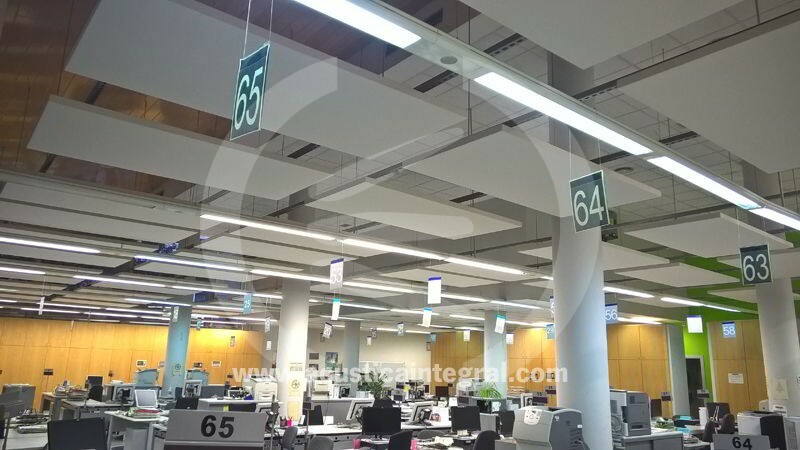 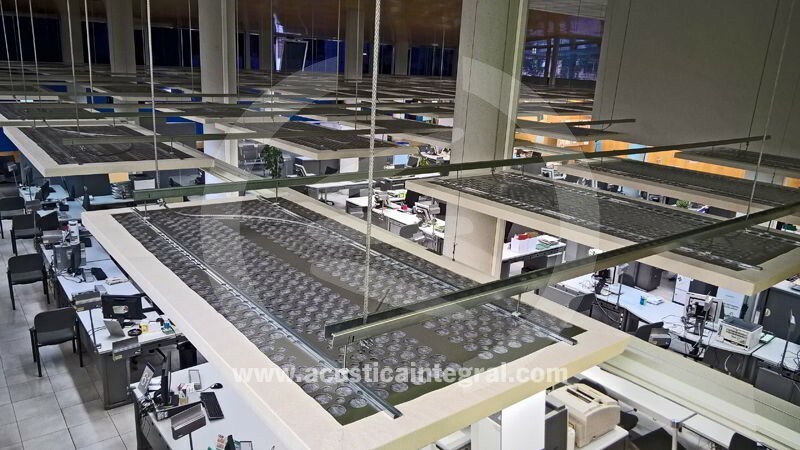 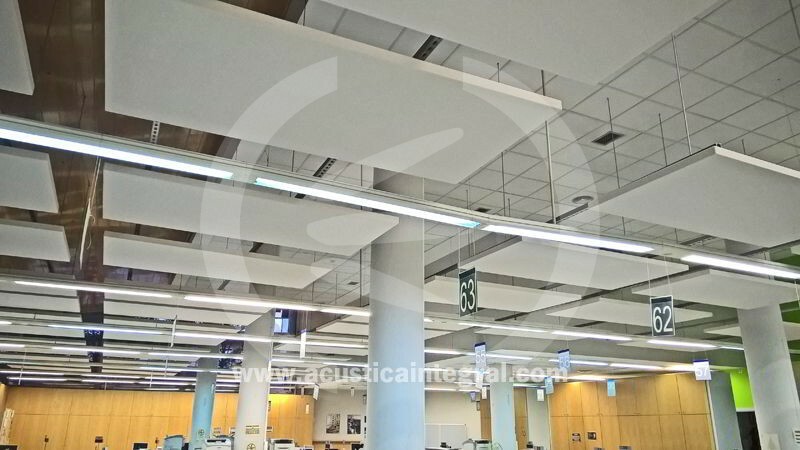 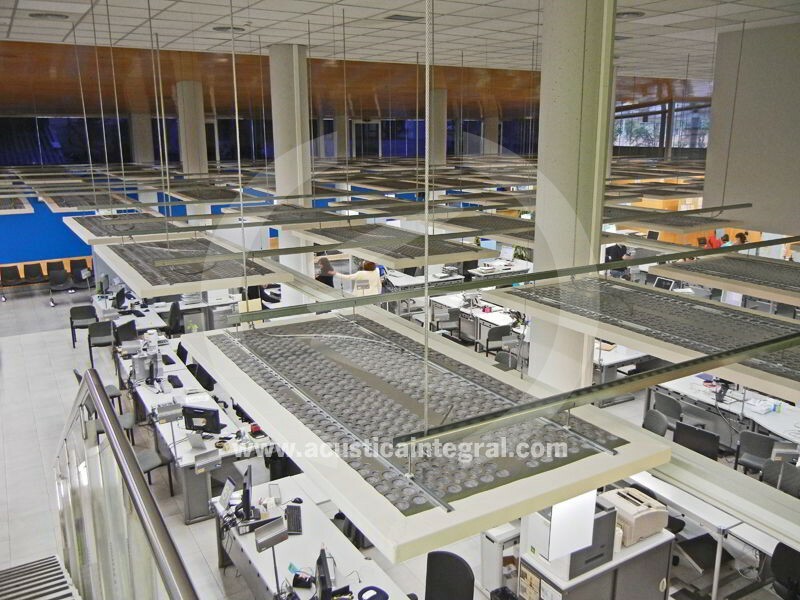 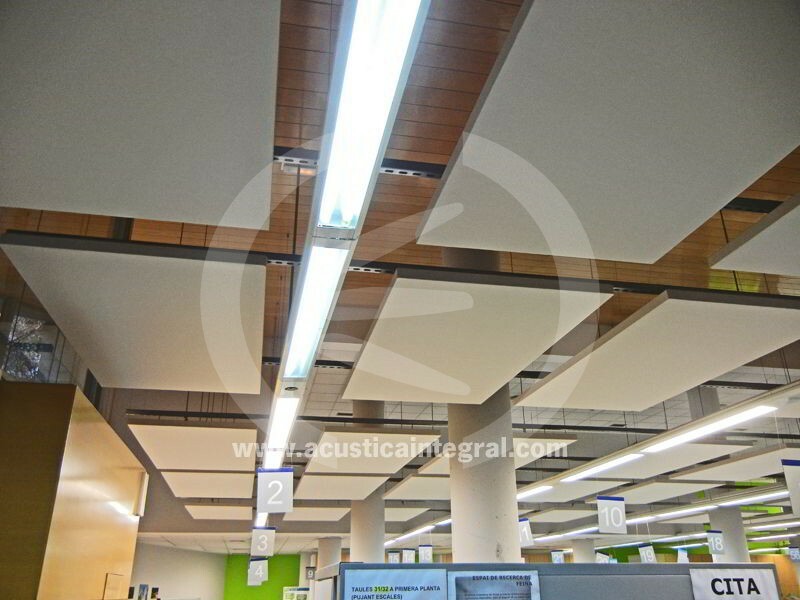 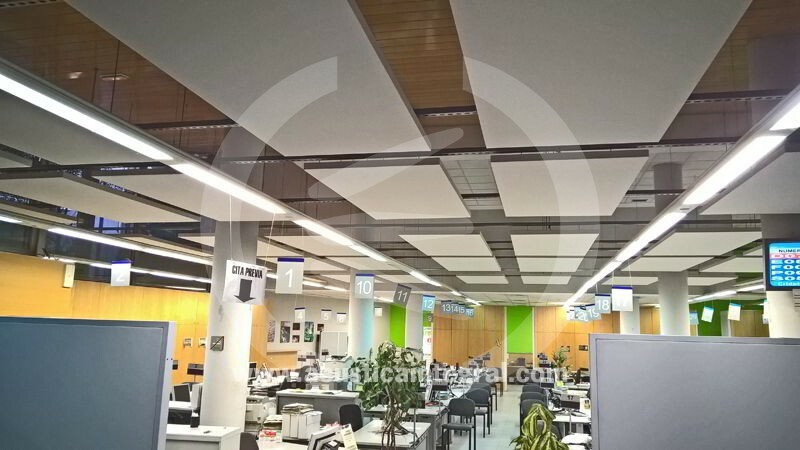 Acústica Integral has carried out the acoustic treatment for a customer service office. 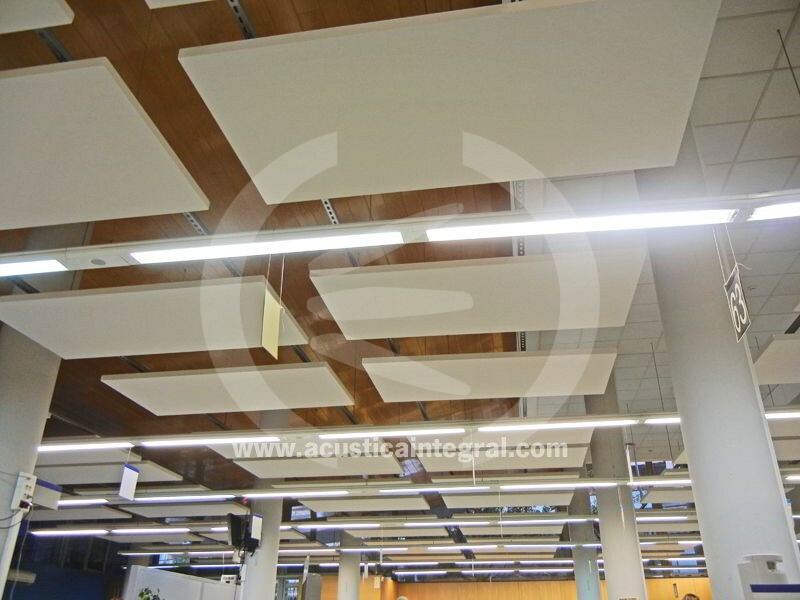 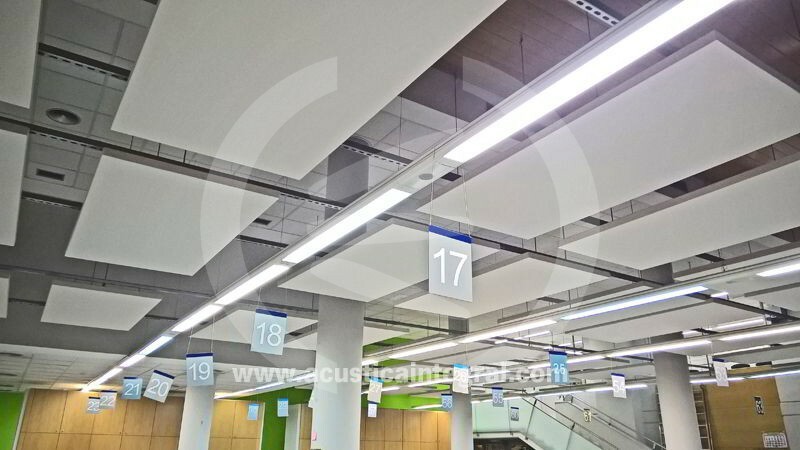 The acoustic treatment has been completed by the combination of Acustiart panel systems for ceilings, MA50 acoustic office divider screens for zone partitioning, and acoustic cladding made of Acustiforo R32, ìBlau Pantone Process Cmaulî colour for waiting areas. 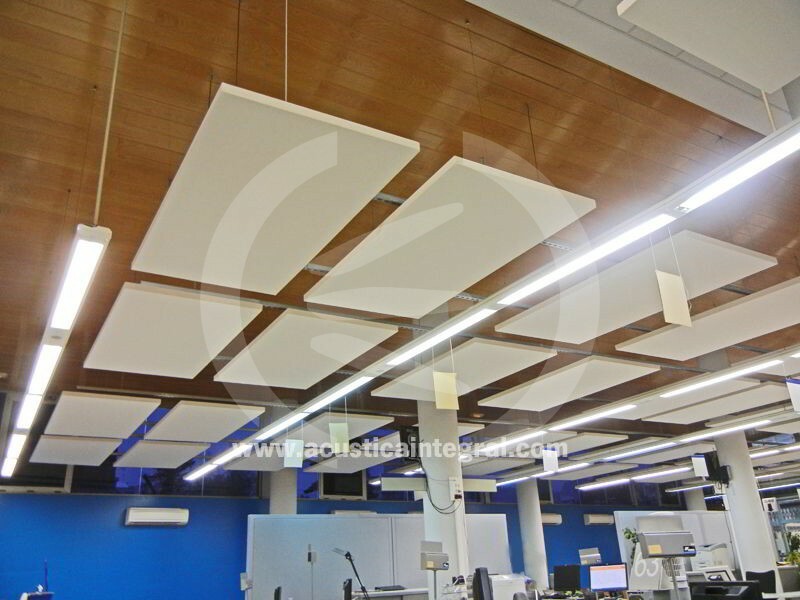 In order to determine and compare reverberation times, an acoustic study was previously performed with a result of 1.5 seconds, reaching 0.65 seconds of reverberation time right after the acoustic treatment. 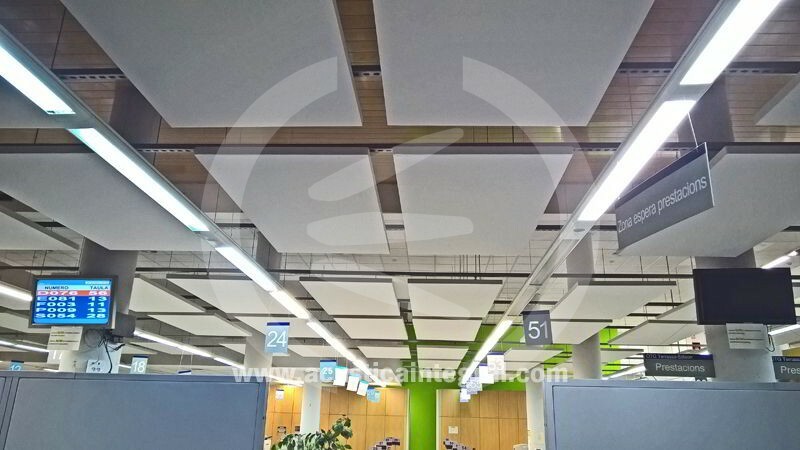 Project: Acoustic treatment for a customer service office. 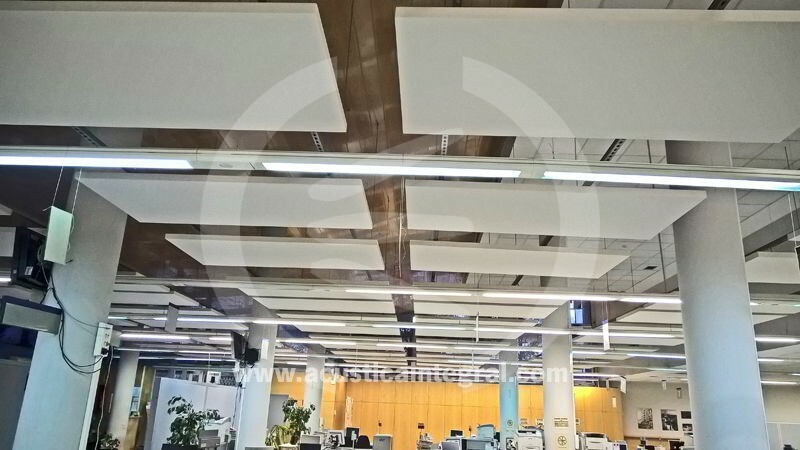 Custom made MA50 divider screens. 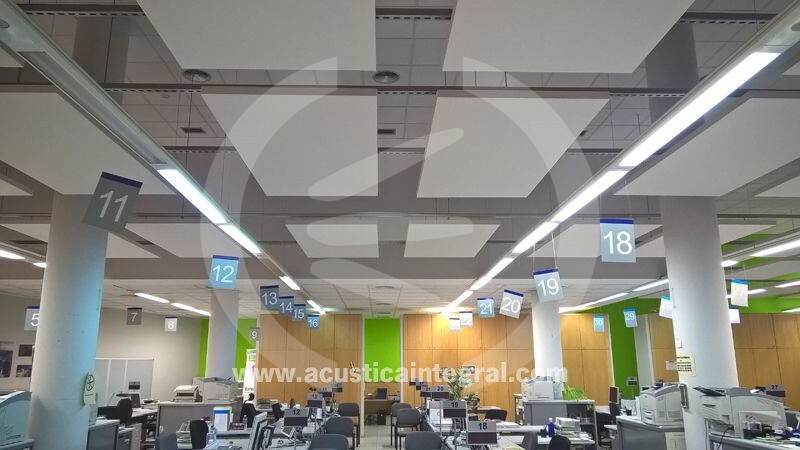 Acustiforo R32 cladding for walls.